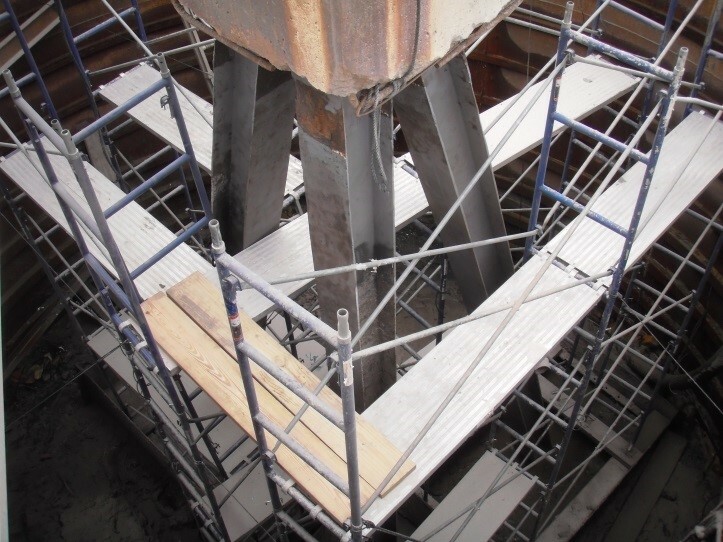 Crofton Industries performed a rehabilitation which consisted of assembling 30' diameter x 30' tall steel cofferdam around each tower leg (18 total) and jetting the cofferdam into the river bottom. 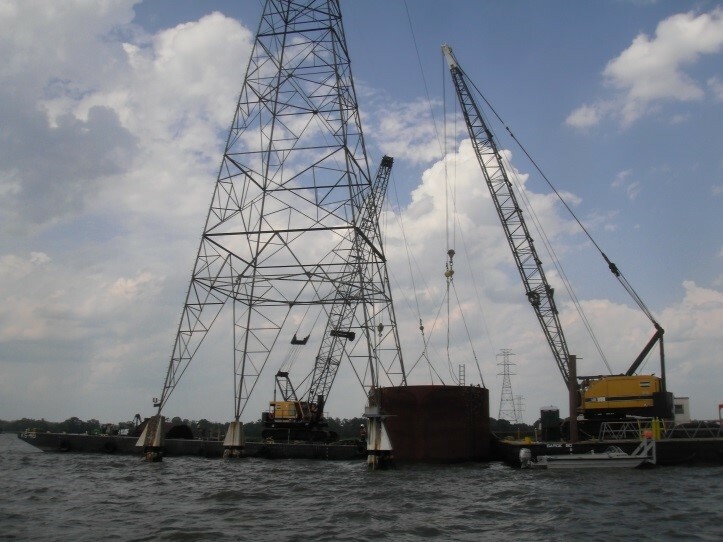 The cofferdam was installed in water depths ranging from 10' to 24'. 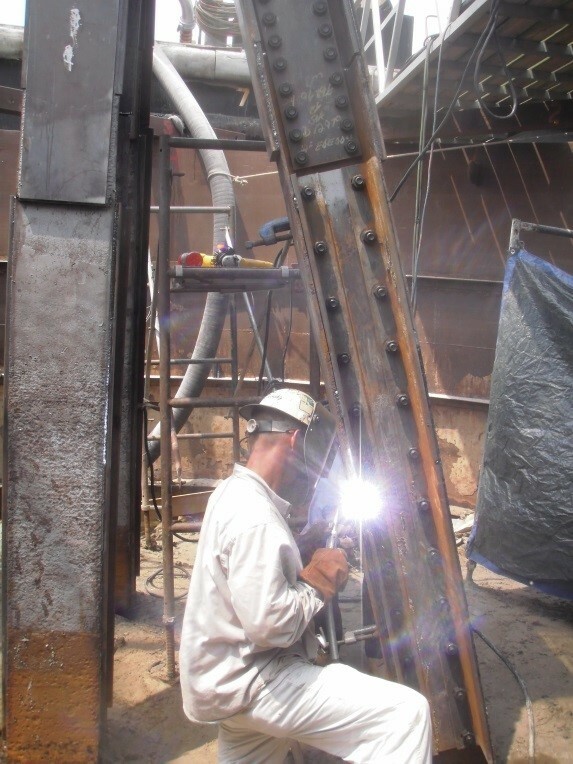 Once installed, the cofferdam was pumped out so work could be completed in the dry which enabled work to be completed more efficiently. 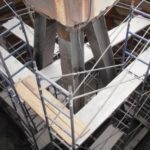 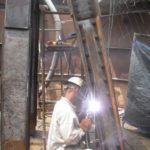 The scope of repairs consisted of removing the existing concrete pile jacket, sand blasting the pile, splicing new sections of h-piles in the severely damaged areas, reinforcing the pile with additional steel, and encasing the pile with a new fiberglass jacket. 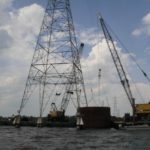 Key project elements included heavy lifting and rigging, steel cofferdam design and fabrication, fiberglass jacket installation, structural steel welding and fabrication, and dewatering.